On Thursday, 9 November, Finnish brewery Hartwall will launch a major PR campaign in Japan, with F1 driver Kimi Räikkönen as its frontman. The campaign aims to build awareness about the Hartwall Original® Long Drink brand and support its launch in the largest online store in Japan. In the summer 2016, Hartwall started selling Original Long Drink in grocery store chains in Japan, and now in November its sales will expand to Japan’s largest online store, Rakuten. Hartwall is supporting the launch of the beverage in the online store with an extensive PR campaign that aims to build awareness about the Original Long Drink brand in Japan with the aid of Formula 1 World Champion Kimi Räikkönen. Original Long Drink a refreshing mix of Finnish artisan gin, grapefruit and the world’s purest water, the drink has charmed Finns for 65 years. 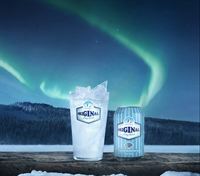 The advertising campaign is targeted at the Asian market and builds on Original Long Drink’s unique role in Finnish drinking culture, Räikkönen’s life and the Finnish mindset. “Finns are known as a people with an original mindset. People are unpretentiously themselves, and Kimi Räikkönen is a fine example of a Finn walking his own path. In Finland, Original Long Drink is the best selling product in the Finnish alcohol monopoly retailer Alko, but globally it is an entirely unique product type created in Finland. Indeed, many call it Finland’s national drink,” says Eeva Ignatius, Brand Manager for Hartwall Original Long Drink. The campaign slogan “Live Original, Drink Original” pays homage to the courage to listen to your heart and to follow your own path in life. The campaign will show Kimi Räikkönen in a new light, far away from the constant flashing of cameras associated with the hectic trackside life. 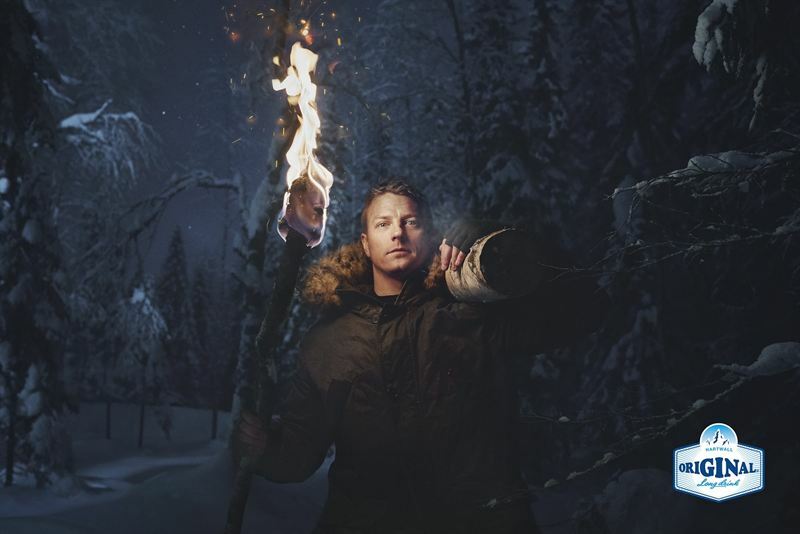 The advert was shot in an environment that is important for Räikkönen, the place where the Finnish soul feels at home, in the middle of peaceful Finnish nature. “Behind the visor of Kimi Räikkönen’s helmet, we find a man who appreciates the peace and quiet of Finnish nature, enjoys sauna and does not shy away from winter swimming. Original Long Drink fits the equation naturally as Kimi Räikkönen is a big fan of Original Long Drink and it was Kimi himself who first suggested this collaboration,” Ignatius says. The campaign will bring Original Long Drink’s Iceman edition to the Japanese market. The special edition cans feature Räikkönen’s Iceman emblem and signature. “Original Long Drink is my favourite drink in Finland – you can’t find anything similar anywhere else in the world. I’m proud to introduce this favourite to people abroad, too,” comments Kimi Räikkönen. Hartwall Original Long Drink was originally created for the 1952 Olympics in Helsinki. The purpose of the new ready-mixed long drink was to help bar staff serving the large number of visitors. It was an innovation of its time: a ready-mixed drink with a unique taste made from Finnish artisan gin, grapefruit and the purest water in the world. The current package design represents the running track at the Helsinki Olympic Stadium, reminding us of how the classic was born. Hartwall brewery and Kimi Räikkönen announced in January 2017 a cooperation agreement that Räikkönen is supporting the world conquest of Hartwall Original Long Drink for years to come. The product was supposed to be available only during the Olympics, but Finns fell in love with it and wanted its production to continue even after the games. Alcohol content 5.5%, also available as stronger and lighter versions. 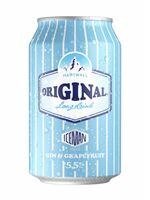 Hartwall Original Long Drink is a fresh ready-mixed long drink that was created for the 1952 Olympics in Helsinki to help restaurant staff serving the large number of Olympic visitors. It was an innovation of its time: a bottled beverage with a unique taste made from Finnish gin, grapefruit and the purest water in the world. The product was supposed to be available only during the Olympics, but Finns fell in love with it and wanted its production to continue even after the games. This is how Original Long Drink created a globally unique Finnish beverage category. Original Long Drink is still made using the original recipe from 1952 and today it is the best selling product in Alko. The current package design represents the running track at the Helsinki Olympic Stadium, reminding us of how the classic was born. The alcohol content of the original ready-mixed long drink is 5.5% but it is also available in stronger and lighter versions. Hartwall is the growing leader in the beverage industry. We manufacture the drinks the Finns love to live and celebrate with. Our product portfolio includes waters, soft drinks, specialty beverages, beers, ciders and long drinks. Through our subsidiary Hartwa-Trade, we also import wines and other alcoholic beverages. Hartwall’s best-known brands are Hartwall Jaffa, Hartwall Novelle, Lapin Kulta, Karjala and Hartwall Original Long Drink. We are also a strategic partner of the Heineken and Pepsi brands in Finland. Hartwall’s modern production facilities are located in Lahti. The mineral water bottling plant is located in Karijoki and the head office in Helsinki. We have 700 employees at Hartwall working with the beloved classics and innovative novelties, and indirectly Hartwall employs 11,000 people in Finland.